Product prices and availability are accurate as of 2019-04-22 10:25:41 BST and are subject to change. Any price and availability information displayed on http://www.amazon.co.uk/ at the time of purchase will apply to the purchase of this product. 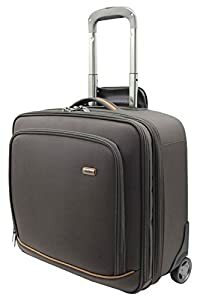 Wheeled Holdalls are presently offering the popular Melvin Xtra Lite 44.5cm Wheeled 14.6" Laptop/Notebook/Tablet Cabin Trolley Briefcase Bag 29l Lightweight Single Compartment Boardcase/Rollercase Overnight Business Case on Wheels & TSA Lock Dark Brown at a brilliant price. 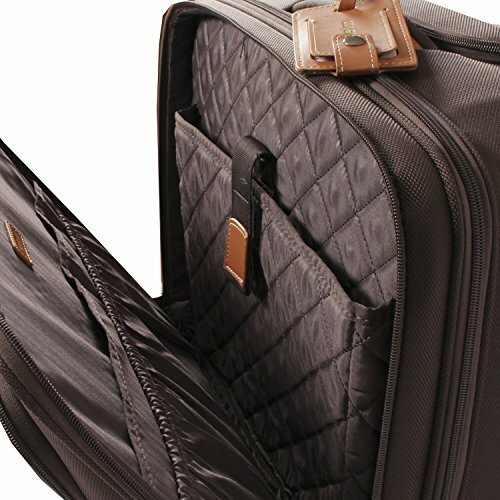 Don't miss out - buy the Melvin Xtra Lite 44.5cm Wheeled 14.6" Laptop/Notebook/Tablet Cabin Trolley Briefcase Bag 29l Lightweight Single Compartment Boardcase/Rollercase Overnight Business Case on Wheels & TSA Lock Dark Brown online now! LARGE & LIGHT CABIN LUGGAGE - The Melvin Xtra Lite range 29 litre boardcase is a 44.5cm designer briefcase on wheels with padded pocket for up to 14.6" screen laptops/notebooks/tablets, overall 44.5 x 25 x 40cm/17.5 x 9.9 x 15.8" lightweight 3.6kg/8lb perfect for a single traveller on business or leisure trips. 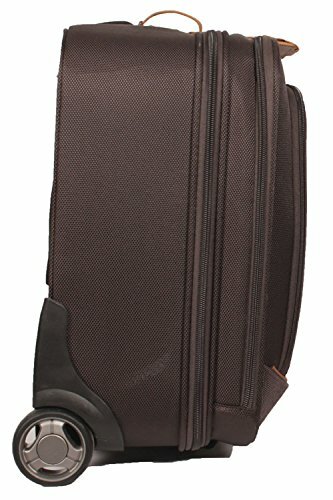 Stylish dark brown luggage with luxurious 100% cowhide leather tag holder & branding. TOUGH + SECURE TSA LOCK: Super durable 1682 denier polyester outer shell, matching & contrasting light brown piping and strong spring back carry handle. Reinforced plastic rear inner shell, corner buffers & cabin handle for easy overhead locker retrieval. The 3 digit TSA lock secures main or laptop compartment & allows unlocking by authorities, great for USA travel as standard locks can be cut risking damage. HIGH END LUXURY INTERIOR: Fully lined in grey stripe soft polyester fabric throughout. 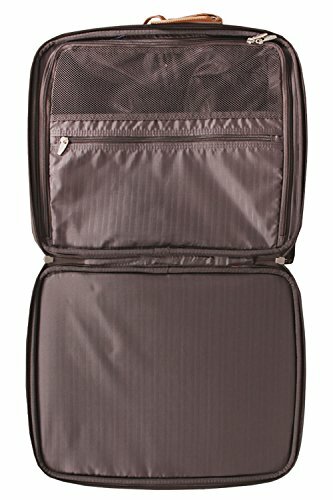 Main compartment 11cm/4.3" deep has mesh window, zipped pocket 37.5 x 22cm for toiletries or quick access to documents/currency plus buckle fastening elasticated angled packing straps for securing clothes/general items. Rear 42 x 16cm expandable pocket for maps or other non valuable items. THE ULTIMATE MOBILE OFFICE: Middle fully padded compartment fits devices 14.6" max. diagonal screen size/15" wide. Large, full width pocket for A4 folders and documents plus two half width elasticated pockets on opposite side. Front pocket padded and gusseted for expansion, can hold A4 documents & has dedicated business card & pen holders. Double metal zips. FINISHING TOUCHES GALORE: Telescopic button operated aluminium handle smoothly extends and retracts 1.02m/3.35 feet from the floor. Fixed all the way to the bottom of the bag for stability & enclosed in a fully zipped, padded compartment. Strong plastic wheels with rubberised grip coating tilt and easily tow with long lasting & silent solid metal bearings perfect for regular commuting and business travelling.